It may have been a long time coming, but it is safe to say that smart homes have finally arrived. With gadgets turning plain homes into a buzz of wonder, smart devices are becoming more steadily a way of life. Here, we introduce you to a few smart devices that will be perfect for your home. Specifically, we’re talking about the best smart devices in these categories. The Ring Video Doorbell is designed so that you do not ever miss someone who calls your home. It allows for a two-way communication between you and the person at the door. This smart doorbell has support for Alexa and IFTTT. Each time your doorbell is pressed or it detects motion, it will send signals to Echo devices. Ring Video Doorbell 2, however, shares many features with its Pro version. 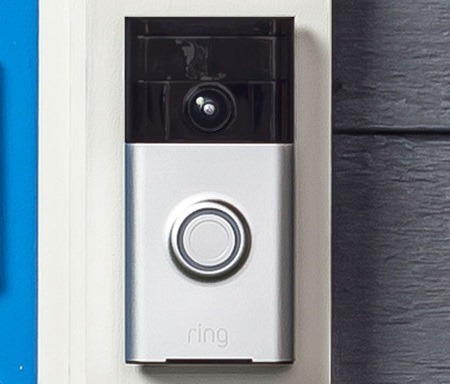 While all three variants support Wi-Fi connectivity, Ring Video Doorbell 2 and Ring Video Doorbell Pro both have support for Amazon Alexa and IFTTT integration, they both offer 160-degree field of view – 20 degrees less than Ring Video Doorbell. They both offer 1080p video resolution, night vision, two-way audio and cloud storage. The Ring Video Doorbell 2 costs $190.00. You could, however, get the less pricey Ring Video Doorbell for $99.99 on Amazon. 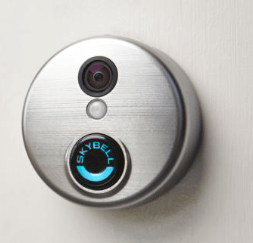 SkyBell HD is the successor to the earlier SkyBell Video Doorbell with a number of notable upgrades. Both share the same look, but that may be as far as they go with similarities. The SkyBell HD comes with a host of features that make it an easy market leader in this category. It comes with support for Amazon Alexa, IFTTT and Nest. For connectivity with Wi-Fi, this is also a great smart device. It offers a field of view range of 180 degrees, video and photo resolution of 1080p, cloud storage, night vision and a two-way audio between you and the person at the door. This doorbell is a good wireless solution and measures 2.8 inches in diameter and under an inch of thickness. It comes with a drill bit, a two-sided screwdriver, a quick start guide, and mounting screws and anchors. If you have made use of a previous doorbell, then the easy adaptability of SkyBell HD will be an advantage, as it can be connected to your previous doorbell chime box. With SkyBell HD, there is no connection with a web app, but it uses both an Android and an iOS app to display both recorded and live videos. Triggered videos stored in the cloud will be available for up to seven days, and unlike a few other smart doorbells, these videos can be accessed for free. If you are comfortable drilling holes in your house and working with low voltage wiring, the installation will be pretty straightforward. 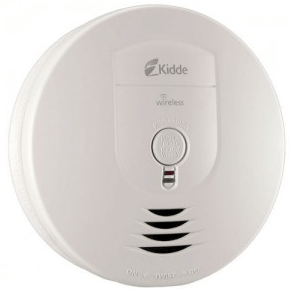 In comparison to other other smart smoke detectors, the Kidde Battery-Operated Wireless Interconnect Smoke Alarm is more of a budget-friendly alternative that has enough features to make it a great smart device for your home. It is a wire-free device that allows for quick and easy connections. For sending and receiving messages about a hazard across your smart home devices, it employs radio frequency. Its integration with other smart devices in the home makes it a very good option for keeping you and your family safe. When one device goes off, all the other devices go off as well. Another great feature is the ability to place this alarm in a detached workstation and link it to the home’s interconnected system. 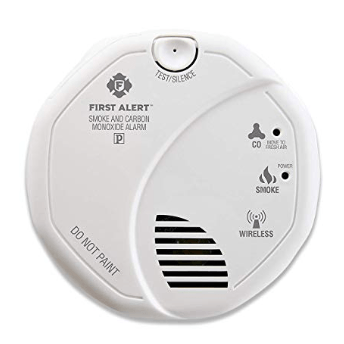 In the case of nuisance alarms, this smoke detector has a smart touch button that works to rapidly hush the system. With these great features, you can still acquire this device at just $40.01 on Amazon. For just about $49.99, the First Alert Z Wave Smoke Detector is a great smart device that offers multiple alarms throughout the home. It goes the extra mile of minimizing the risks of having a false alarm by adopting both electrochemical and photoelectric smoke sensors. Using this shouldn’t be leading your shower steam to set off alarms in the home. If you already run a Nexia Home Intelligence Hub or any other z-wave hub, then this may be the smoke detector best fit for your home, as it comes with support for wirelessly linking to a z-wave hub. In the event of a false alarm, it comes with a single button hush. In the event of an activated alarm, it is Iris-compatible to send you mobile alerts and emails, keeping you notified no matter where you may be. 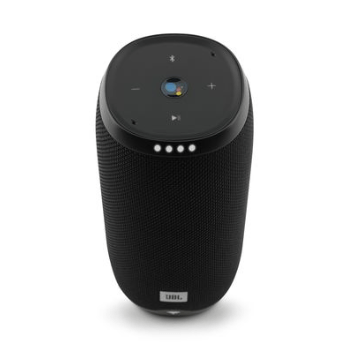 The JBL Link 20 is a remarkable portable smart speaker. It is very popular for its adaptability and convenience. This smart speaker is waterproof and will be well-suited to be used in any part of the home. It does not support Amazon Alexa voice but will integrate perfectly with Google assistant. The JBL Link 20 comes equipped with Google Chromecast. This is a great feature that allows it to connect with Link speakers as well as other Chromecast audio devices in creating a multi-room audio setup on a Wi-Fi network. The setup process is not complicated using the Google Home app on iOS and Android. Using a direct Wi-Fi connection you will have to log in to your speaker and log on to the chosen network. Pressing the middle button at the top of the speaker gives you access to the Google Assistant and allows you to issue commands. Issuing commands using this middle button means that you do not have to say “Ok Google” or “Hey Google” first before giving the command. 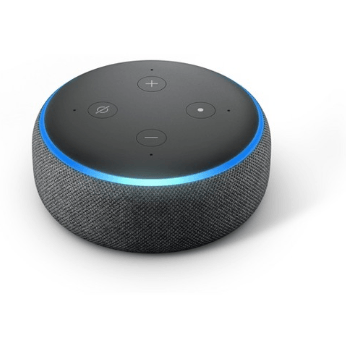 This third generation Echo Dot is a bit bigger than its predecessors. This is partially due to its better sound output. It shares a close resemblance with the Google Home Mini, but the greatest difference, of course, is while the Google Home Mini offers support for Google Assistant, the Echo Dot supports Alexa. Getting it set up on Alexa is pretty straightforward, especially in cases when you have one or two Alexa products in your home. All you have to do is open the Alexa app, and hit the plus button to add this new device. It also offers connectivity with external speakers via Bluetooth or wired connection. This is an important feature if you need to improve on the sound output, which the Echo Dot 3 offers. You can also pair Echo Dots to each other to produce a more filling sound in the room or in multiple rooms. The best part of this device is that you can get it for under $50. If you have other Alexa-compatible devices or are just an Amazon Alexa lover, this smart refrigerator will be perfect for your home. Kenmore Smart 75043 works to make sure that your food stays at just the right temperature. This ideal temperature and humidity are achieved thanks to the Kenmore Smart app and GeniusCool™ technology. You can perform tasks like regulating temperature or activating the air filter or ice maker remotely with voice commands or Alexa. It is also equipped with the Accela Ice feature. This comes in handy if you need ice produced rapidly at the last minute. It has a great design. One easily observed design tweak is the very large dispenser area just in front of the fridge. It is large enough to hold a coffee pot. The interior of the fridge is also very properly lighted with recessed LED. 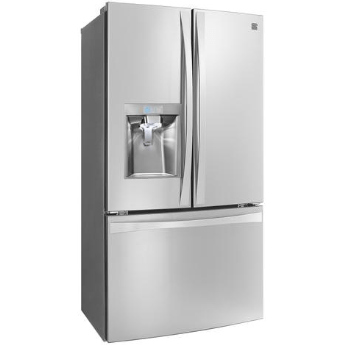 You can get the Kenmore Smart 75043 for $2500. This August Smart lock has grown to become very popular among smart lock users. It is also a very popular alternative for someone who would rather keep an existing deadbolt. 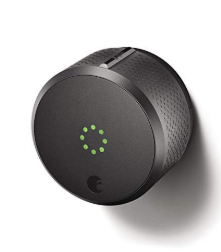 This has made it gain a reputation of the most widely-compatible smart lock. Using this smart lock you only need to replace the interior plate and lever of your existing deadbolt. You control this lock using your August app on your smartphone or via Bluetooth with the Apple Watch app. The Lock allows compatibility with Apple HomeKit. When you are away from your home, you will need the optional getaway “August Keypad” to give access to guests without making them download the App. You can get this lock for $210. Before diving deep into this smart lock, I must mention that it has an optional $100 Kevo Plus upgrade. This allows you to control your smart lock from anywhere. So basically this upgrade is an easy and convenient choice for keyless entry. 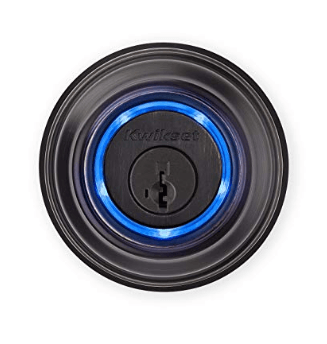 While many smart locks may employ geofence-based auto-unlocking, Kwikset Kevo smart lock uses instead Kevo’s Bluetooth-based close-range authentication system for more assured security. It is also seen as a versatile smart lock because it has support for a standard key, a wireless key fob, or a smartphone app. With the Kevo app, other than being easy to use, you can also share eKeys with house guests to unlock or to lock Kevo. Even though it may be hard to guarantee 100% security with any smart lock, the Kwikset Kevo Smart Lock 2nd Gen has an ANSI Grade 2 rating. You can get this lock for $240. 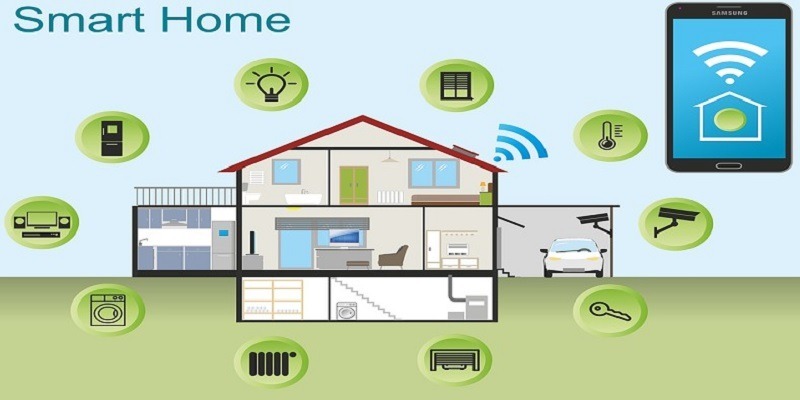 It is hard to imagine how we lived without these devices that transform our houses into smart homes. Whatever the smart device is, its aim is to make your life much easier and stress-free while granting you access and control to your immediate surroundings. The items on this list should help with that. Please take note that this list has been compiled in no particular other, and no matter the category, you may find the second item more valuable than the first or vice versa. As much as all the listed products will be great acquisitions for your home, the final pics will depend on your personal preferences. Stay updated with our weekly recap of the latest trends in IoT world.